Is your Mitsubishi projection TV having dead pixels, or so-called white dots on the screen? In this post, you will know where to find a replacement DLP chip to fix your Mitsubishi projection TV dead pixels errors. Does your Mitsubishi TVs are full of white dots after a few years of playing? If yes, you have to replace a new DMD CHip or called DLP chip for your Mitsubishi projection TVs. As Mitsubishi tv DMD chip is one of the important parts for all DLP projection TV. In the beginning, it will happen one white dot if your TVs have been used for a few years. If you do not replace the Mitsubishi tv DMD chip when you find one or two white dots from your TV screen at once, there will be more and more white dot appear from your image within couple weeks. Therefore, we have to buy a new Mitsubishi tv DMD chip if your Mitsubishi / Toshiba / Samsung tv has a few years of the projection. This is the only solution to fix your white dots on screen error. There are lots of Mitsubishi tv DMD chip sellers in the market. But all of them selling this small DLP chips at a different price because they want to make a different profit from it. You can buy it from the original Samsung / Mitsubishi / Toshiba online store or service center. Which may be charged you more than $300.00 to get the replacement chip. And you can also buy it from your local repairing center and ask them to exchange it for you. However, the Mitsubishi projection TVs are used TVs which has been at least 5 years old, no one hopes to invest $100.00 installing fee and more than $350 for the Mitsubishi tv DMD chip from the repairman. Now, what can we do to save investment to purchase a new Mitsubishi TV chip and replace it ourselves? Here Perfectbuys.net is writing the post to share where to invest a replacement original Mitsubishi tv DMD chip at the best price and do replace it yourself step-by-step. The Mitsubishi store is one of the sellers for the Mitsubishi TV DLP chip and is the one that gets more than 800 customers reviews with 89% 5 stars reviews. This is the only one that providing original new guarantee DLP chip in the market. However, the new chip price raised from $180.00 when we wrote this post in 2013 to $279.99 when we update the post in July 2018. We suggest buying one as a spare if you still want to use your old Mitsubishi TV. We believe the price will raise up a little more because Texas Instrument did not produce this old product. 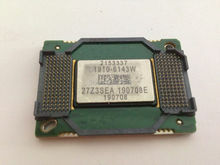 Buy from stores from ChinaThe next store you can get the replacement chip is from Aliexpress. At the Aliexpress Chinese seller who provides only $115.99. But we don’t think it is a new chip. If you don’t want to invest more than two hundred dollars, you can try it. We suggest you confirm with the seller with chip condition and estimated working time and guarantee. And the following store advertises as a brand new chip sells at $156.75 which is much cheaper compare to the Amazon. And which comes with a 90 days warranty. The chip we linked not only works for Mitsubishi TVs, but also for Samsung and Toshiba TVs. Check your TV model is in the list below. Besides a new chip, you need a good heatsink. Like a laptop CPU, the DMD chip is too hot because of the projection lamp light projecting on it. The main role of the heatsink for the DMD chip is to eliminate the chip and the chipboard gaps or spaces in order to maximize heat transfer. As a very high heat conductive paste, the heatsink conducts the heat from the DMD chip to the chipboard. And cooled down by the fans. With its protection, the replacement chip can work longer compare to without the heat sink. There are essentially three types of thermal pastes. The metal-based, ceramic-based and the silicon-based. We highly recommend using the metal-based one as it has the best performance of the three. To replace the new DLP chip is very easy if you know how to use your screwdriver. But before doing this, I suggest you should prepare a camera. Because it required you to unplug some connectors inside of Mitsubishi tv and take of some small parts of the TV. In case of forgetting the correct position of the plugin and the accessories position when we reinstall it back, it is better for us to use a camera to take pictures step by step when you disassemble the old broken chip. If you are a skilled repairing man or technician, it will never difficult for you to exchange a Mitsubishi tv DMD chip. Never afraid of it even if you were a woman or new to any repairing. As I found a review from the Amazon, a 34 years old woman with no electrical experience have the broken change following the step as following in less than 1 hour. She just took lots of photos as we suggested above to help her remember where the screws and wires go. And here is the step by step video created by Shop Jimmy company. We hope this post showed you everything you need to fix your Mitsubishi, Samsung or Toshiba TV white dots/ dead pixels on screen error. What any other tool you still need to help you replace the broken chip? What any other helpful suggestion or tips when you replacing or dissembling the parts? Either way, let us know in the comments section below. Anyway, if you think our post is helpful please share it or tag it to your friends who owns a projection TV. We think he/she may need it one day. None of the article links work. I saw women’s clothes & LOTS of projector lamps, but nary a chip in sight. Now that it’s 2017 have they expired? Sorry SamFox, we will update it as soon as possible. Thanks for letting me know. Hope it is helpful. I’ve read several good stuff here. Certainly worth bookmarking for revisiting. I surprise how a lot attempt you put to make the sort of magnificent informative website. Thanks for this information. We are up to 7 white dots in the past 7 weeks, seems we get 1 a week at this point. If you don’t change the chip soon, you will got thousands of. Do you have the 1076-6038/9B and 1076-6318/9W? The price has raised from $159.00 to $220.00 from these few months. When I created the post, it was $159.00. You can but the it at the cheapest of $220.00 now from the link here. hey there! , Is fantastic producing and so a great deal of! portion we keep up a new correspondence added relating to your article for Yahoo? I want a professional during this space or room to resolve our trouble. Probably that is you! Having a look in front to see an individual. After I replaced the chip. The tv says that the lamp is burned out. Does the chip have anything to do with the lamp ? Hi. I have WD65c9 with a large yellow square on the screen…tv still plays, but the picture is dim and shows this transparent yellow square. Would this DMD chip be the fix for that problem. I was told it needs a optical engine, but what goes back on the engine that causes that yellow square? I would like to order parts from you to fix it. email me back please. Color problem should cause by a color wheel. I suggest you ask a repairing guy to check of you can take out the color wheel to check if some part is missing and clean it. AMy tv is a little over 4 years old and my lamp went out first. I found a lamp and housing on amazon and changed it out myself. Now about 2 or 3 months later i now have to replace the DLP chip. I dont think that one has to do with the other i think that both parts only last 4-5 years. I think you can try to replace a new chip to test. A lamp is good or not will not effect the screen white dots. You can buy a new chip from somewhere with free 30 days return without any question place to test your tv. If your problem not fixt, you can return the new dmd chip for money refund. Seller provide 90 days warranty return. That seems not a DMD Chip issue. If the chip is broken, you will only got white and black dots on screen only. The tv will not shot down itself. I suggest you ask a repair guy to check. where is the cheapest place o buy dlp chip for Mitsubishi wd-60737? I have the same model as you, how did you fix it how much was it? Parts? Fix yourself? We have a Model WD-65735. We have the white dot explosion problem, so we have changed the DLP chip. It did not seem to go in as tight as the one that had to come out. It did not seem to be snapping into the board. Now, turning the tv on, there are large black and white streaks vertically across the screen. We went by the video on how to replace it, but it was not exactly like ours. Please help. thank you. I suggest you ask the seller if the chip is new or not. If you can post a picture to show us your issue, we may check for the error. Thanks for your comment. Hope that can help your problem. Have Mitsubishi L65-A90 that has white spots. Mitsu says it is unsafe to work on and does not provide any information on parts. TV should last longer than less than five years,and parts should be available. Anyone else have issues or experiences with this? I know this post is really old. Having the same problem now. I was unaware of the class action lawsuit. Did you figure anything out? Mitsubishi won’t talk to me either. Hi Dennis. Did you replace the DMD correctly? Will a defective DMD chip cause the Mitsu TV to shut down. It has white spots then it shut down. A defective DMD Chip will not cause TV shut down. There seems more than DMD chip problem. Mitsubishi Warranty repair item. Mine was out of warranty so it was $200. A set fee negotiated with Mitsubishi and TV service repair companies. I have a Mitsubishi DLP and I have little black dots all over the screen. It looks like little nats I have cleaned the mirror and screens but still same. Could the DLP chip cause this? Yes. That is DMD Chip problem. I am going to bump this review to 4 stars, since being able to fix my DLP TV with this chip was extremely helpful, but since the failure rate on these chips seems to be high I will not give 5 stars. The color problem, check the color wheel as well. Check your TV color wheel as well. The color wheel is also easy to be aging as hot inside. No worry. The color wheel is much more cheaper than the TV. Seems not work for your TV. Why pay so much for such a small part that is difficult to install and could become defective if not installed properly? There’s too many better products available today that are brand new with better pictures. You can buy a Hisense or Sceptre 4k HD 55″ for less than $500 that’s much lighter and will last much longer with a picture so real, it looks like you are there. Junk that 5-8 year old tv and never buy a Mitsubishi product ever again. A company that doesn’t care about their customers with a reasonably inexpensive parts list should go out of business. It’s just stupid to pay so much to fix some old heavy dinosaur tv when you can pay just a little more for a brand new one that’s so much better. Let these parts merchants get stuck with their over priced parts and get smart. Yes. I don’t understand why so many people still looking for the chip. You know why? Apparently there were three or four makers and they all were designed using this same part. These televisions aren’t made to last but a few years. You could pay a few hundred to a repairman or buy the part yourself and attempt to save some money. If something goes wrong, you are out the cost of a very expensive part. This was the first large screen tv for many and hate to give up on it but it’s just not a good investment. It’s still an older tv and what’s going to go out next, the color wheel that also will cost an arm and a leg? Large screen televisions have come down in price and have much superior pictures that hanging on to an old heavy tv just isn’t worth it. Even if you replace this part, how long will it last until it happens again? It’s not inexpensive like changing the light which used to cost much more than it does now. I suppose that if you own a 70″ to 80″ screen tv, it makes sense to buy this chip but if your tv is 60″ or smaller than it’s better to just replace your television. Large screen television prices are falling fast in that range. Just pay the $30 to $60 for the extended warranty and you get a brand new tv with a much better picture that is HD or even 4K HD. It can even be a smart tv for Roku, Netflix, or all the other applications available now. I’ve got my 60″ Mitsubishi in the garage and if prices for this chip doesn’t come down below $100, it’s going to a landfill. I have a Mitsubishi dlp projection tv model # WD65734 that I bought in 2007. It worked pretty well up until this year 2016 when I had to replace the lamp in January. Over the last couple of months the white and black dots have appeared all over the screen. I researched the problem online and spoke to Mitsubishi. They said that due to the age of the TV, they will not be able to assist with the cost of putting in a new DMD/DLP chip no matter what I said. I see that I can buy the chip for around $200.00 and I’m sure that I can install it in the TV. However, I’m trying to figure out if its worth spending another $200.00 to fix a 9 year old TV. I’m concerned that if I fix this other problems with the volume etc could come up. Does anyone have any feedback on this? Hi Scott I’m in the same boat I have a 73 inch however it was given to me so my investment would only be about $180 for the chip And I would install it myself. All this talk is BS very easy to do I practice on a 42 inch unfortunately the chip wasn’t compatible but it took me 10 minutes to take the back out and another 15 minutes to get to the chip. So I figured for $180 investment if everything goes right I’ll have a 73 inch TV which has a brand new light in it. But again I don’t know if it’s worth it. In reply to your question the next thing to probably go would be the light in your TV which are way cheaper than the DLP chips I also heard about the color wheel going bad but you can’t believe everything you read on the net. What’s your comment on my situation you think it’s worth me spending the 180. I have a brand new lamp and a screen full of white dots…anyone want this Mitsu? I will take $40 for it, that will reimburse me for the lamp. You will know up front that you will need a dmd chip, no guessing! Jimmy Shop.com…what a wonder you guys are, I am just too old and nervous to do such a work, I stand amazed at your talent! WD-65736 was not listed but the…735 and …737 were….I am assuming this part will not work for my …736 model? I have a Mitsubishi dlp projection tv, model wd 65738. My picture is all different colors and I was told it was the light engine chip or engine light chip, problem is I don’t know where to find this piece? Please help !! And/or tell me if I’m wrong? Color is controlled by a color wheel. not a light engine. You can check if any broken on the color wheel first. Can you give a video or directions on how to put the tv back together , never seen so many screws in my life!!! Learned to late that I should have separated by cups or something w/ labels…. Hi, The color should be controlled by the color wheel, not the chip or light engine. Check the color wheel. Great tip for fix my Samsung 65 inch projection TV. Thanks. Hi, Someone gave me a 60″ Mitsubishi tv manufactured in 2010 and it has the white dot problem. I read everthing and checked prices on EBay and Amazon the chips are running about $234-$280 on there but the link you shared from Aliexpress has them on there for $165 + $34.49 S&H I have a question about the heat sink and what you were referring to about the conductive paste. What do you do with the paste? Where do you put it? I watched videos and no one talks about a paste or to put it anywhere.